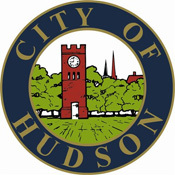 Laura Freeman, Hudson Hub-Times – Hudson — The speed of implementation is almost as fast as the speed of fiber as team members reported the progress of the city’s newest utility, Velocity Broadband. Council Feb. 23 met the team that has brought Velocity Broadband to the city. Information Services Manager Bill Hilbish reviewed the history of the project, which began in November 2012 when Council asked him to assess the current broadband needs. In 2014 Hilbish made a presentation to Council, and in months a plan was released. By June 2015 Council passed a resolution to build phase I of the pilot program and the first customers were online in September. The city acted entrepreneurial with a brand and pushed out the product, DeSaussure said. “It exceeded everyone’s expectations, and it’s time to see this blossom further,” he added. Paul Leedham of phasing and design said the Velocity Broadband 2016 build-out plan has 16 customers receiving the service with 36 who will be customers in less than three months and another 95 in three to nine months. The first customers were located in the Executive Parkway area, with the next location at the Acme Plaza and neighboring downtown, he said. The original design by Magellan advisors was a roll out approach with phases, but because of the interest, the city is doing simultaneous additions as customers sign up, Leedham said. The Georgetown Road and southern state Route 91 area will have 33 customers in three to nine months. Beau Chumley of data center construction said the equipment has been upgraded to meet the demand with a backup power generator and fire suppression system in the building. Kevin Powell, who is in charge of construction, works on the design and engineering of proposed routing to deploy the fiber optic cable using above ground and underground infrastructure. To install it as quickly as possible outside contractors do the work, but city employees are training to do the job as well and will be able to increase response time for any problems, Powell said. The fiber is being placed on the main arteries of the city to provide a strong backbone for businesses, Howingon said. Maureen Reich handles customer relations and said 50 customers were originally predicted in 2016 but they have 150 waiting for the service. “People sign up every week,” Reich said. The city uses BroadHub by GLDS (Great Lakes Data Systems) to manage customers, work orders, inventory, billing and accounting, Reich said. The first billing with the new system will be March 1, 2016. Will Ersing is in charge of day to day operations, material procurement, network configuration, technical plant design, production planning, material R&D and the installation scheduling. The city is implementing broadband on an as needed basis but those areas closest to the backbone can be connected more quickly, Ersing said. The team will continue to build out to potential business customers and begin the research and evaluation of a residential build for high-speed Internet service, he added. Council members congratulated the team on their work and wanted to be updated on a regular basis. Council member William Wooldredge wanted updates monthly with the number of customers and feedback from them. Council member Dennis Hanink said the team has a unique position.